Yesterday the organizers of the first stage race of the French calendar, Etoile de Bessèges (February 1-5), announced that a fourth World Tour team has been added to their list of teams after FDJ, AG2R and Lotto - Soudal were confirmed initially. After the cancellation of the Tour of Qatar, the Katusha team needs a substitute. 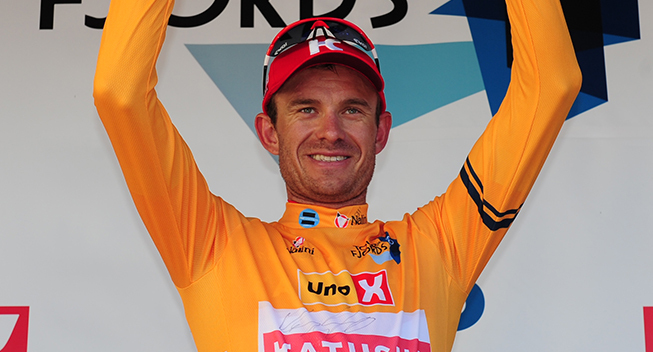 Even though the Swiss team is also scedhuled for the Volta a la Comunitat Valeciana on the exact same dates, the French organizers told DirectVelo.com of the possible presence of Alexander Kristoff, the former winner of Milan-San Remo and the Tour of Flanders. Via a post on Facebook, they have now made the official confirmation. Without giving the provisional start list for the Swiss team, they make it clear that the Norwegian sprinter will indeed be on the start line.